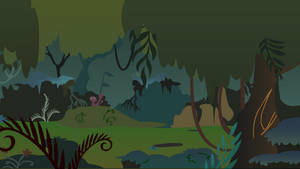 First background I did for 's upcoming flash based on The Story of the Blanks. Someday, I'll take the time to learn to create stuff instead of sticking other people's elements together. How does one go about making something like this? Zecora always haves a cure to those who are not sure. May I use this for a background for a comic I plan to upload on tumblr? May I use this background for a character of mine? Is it OK for me to use this as the background for my zecora print? Damn. The weather outside is so... green. Oh? 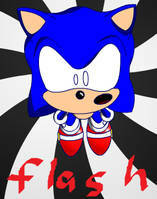 You got a flash based story on that. Awesome! Would look forward to the movie. I've used this picture in a collage of sorts, seen here. Do tell me if you would prefer I not use it. Glad to hear it, it was hard finding a blank Zecora's house picture. But yours was perfect for it. Wait... ANOTHER Story of the Blanks...? With improved graphics...? not a game. it's an animated video adaptation of the story from the original game. No, it's for the animated version. 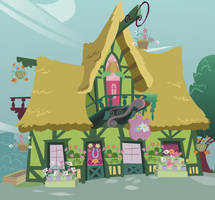 I wish my MLP OC had a house like this!! Do you take requests? depends on the request and my schedule. A design for my OC's house in my MLP fan series. Nice. WHOW! Story of the Blanks? I thought that game was already out as NES form. it is out in NES form. We're making a full animation. Oh, now that will look interesting. And I'm sure it's going to be a lot scarier than the NES version. I can't believe that those blank ponies will look more menacing and demonic than their NES counterparts.